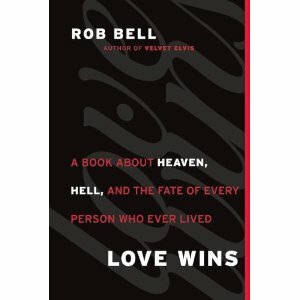 I have had awhile to live with Rob Bell’s new book, Love Wins now and am starting to feel comfortable with his message and content. I am a fan of the audio media since I drive a minimum of one hour a day and try to get 30 minutes of exercise in too. Along with some lounging in bed, mellowing out while eating lunch at my desk, I am nearly able to knock off his book in a day. With just a little bit of extra time dedicated specifically to the task and it is a one day deal. One of the very nice things about Rob’s book on audio is that he narrates the book himself. I have experienced this in a couple of his other books and admit that it makes the experience quite nice. Rob is an engaging speaker and his writing in the book reflects his speaking style. I have read some folks who are rather dismayed about his style in writing, well, I suggest that you try the audio version and you will see why he writes the way he does. The overall tenor of the book comes across as Rob sharing his view of the nature of God and the implications of that nature in the realm of what happens post-life. He grounds most of his arguments in the bible, though I agree with some other commentators that he sometimes seems to lack precision in his exegesis. I am going to withhold a firm conclusion on that until I have participated in some of the debates on the content. That video has caused commotion in the internet world and this subject is destined to be the single biggest evangelical topic for 2011. Christianity Today published this article about the goings on with Rob Bell and how people are reacting to it. John Piper issued a short tweet saying goodbye to Rob Bell (it is linked in the CT article). So what is the big deal? The big deal is whether everyone can or will be saved. That’s it. I can’t wait for Rob’s book to come out and we let the Christian community get involved in the discussion. This is going to be good. As far as me, I currently believe that all people have salvation through Jesus and it is not predicated on knowing him. Update 1 – Wow, check out this article from ABC. (Is that the same ABC we have in the states?) It gives you an idea of the magnitude of Rob’s announcement and impact. Please read it.